Long positions above 1.0020 with targets at 1.0050 & 1.0070 in extension. 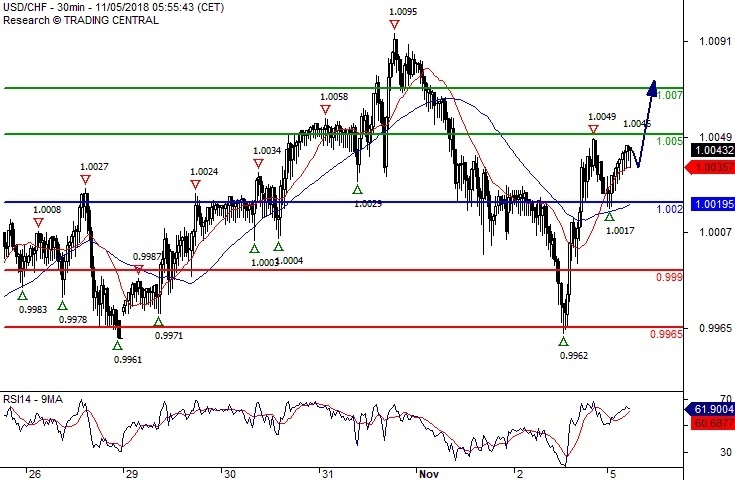 Below 1.0020 look for further downside with 0.9990 & 0.9965 as targets. 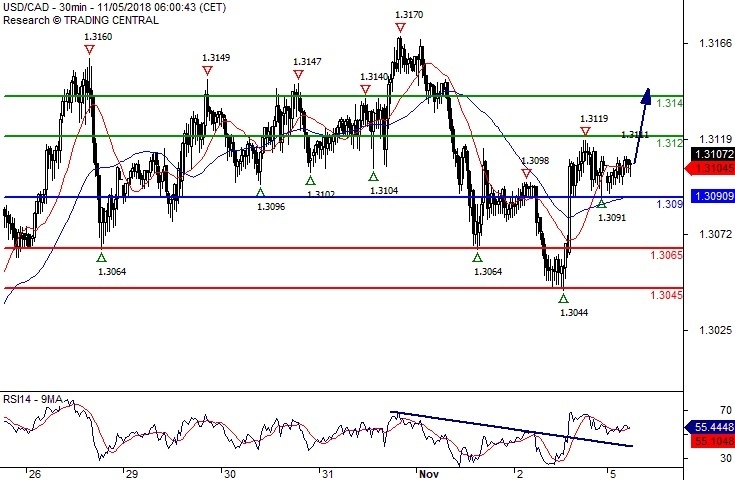 Long positions above 1.3090 with targets at 1.3120 & 1.3140 in extension. Below 1.3090 look for further downside with 1.3065 & 1.3045 as targets. Short positions below 0.7210 with targets at 0.7180 & 0.7160 in extension. 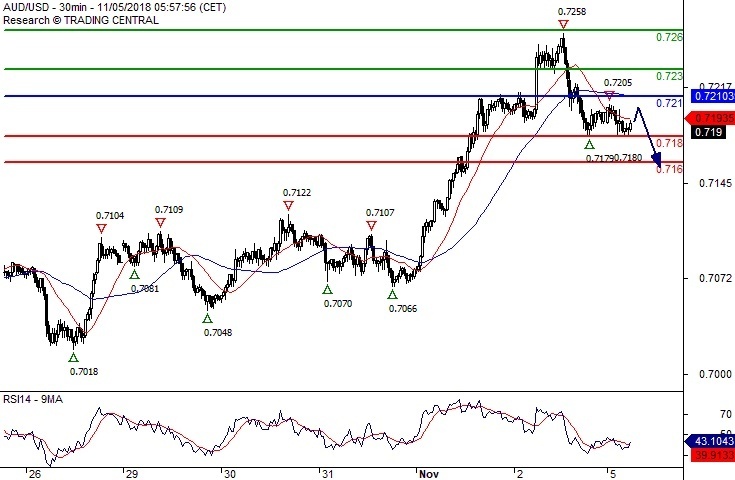 Above 0.7210 look for further upside with 0.7230 & 0.7260 as targets. Long positions above 5.4160 with targets at 5.4760 & 5.5070 in extension. 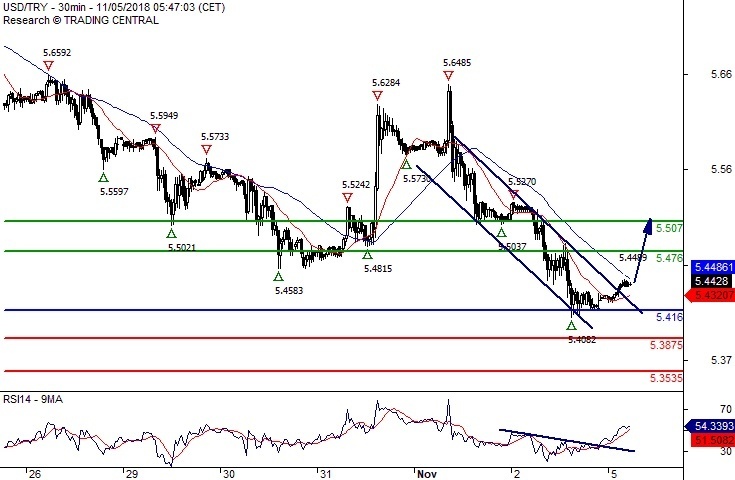 Below 5.4160 look for further downside with 5.3875 & 5.3535 as targets. The RSI calls for a rebound.